Make-do Mum: The first moments of the school holidays. The first moments of the school holidays. School pickup yesterday was fun. The children and most of the parents seemed happy and I'm sure the teachers were thrilled. My six year old wanted to do every planned holiday activity STRAIGHT AWAY. I conceded with an art activity. I can't remember where I saw this idea, it is hardly novel. 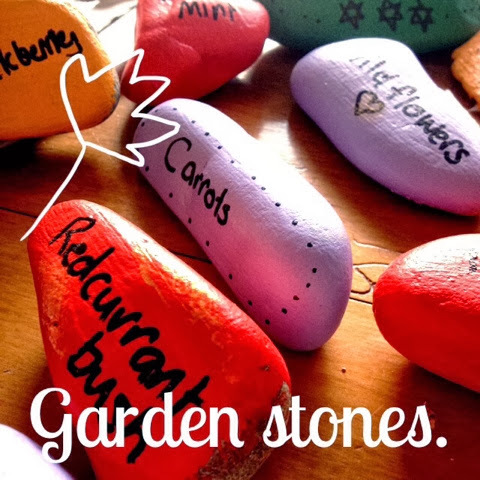 I collected river stones, bought test pots and used sharpie pens to write on the stones. It was great fun. As usual, I had to recognise that my daughter had her own decoration ideas and she started off with elaborate, multi colour stones that were for 'decoration, not labelling.' She neatly wrote some plant names, adding love hearts or 'polish' (gold paint) here and there. We also made some decoy strawberries. 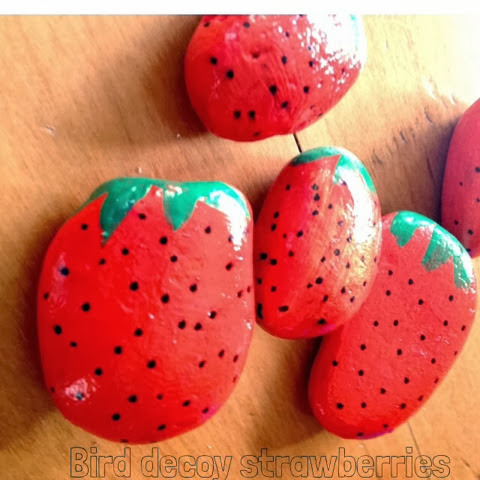 I read in an article somewhere that a family used decoy rock berries to misdirect birds or to hide amongst real ones to give birds a fright if they try to nibble on them. They are cute regardless and fun to make! Again, we used a sharpie pen for detail. The stones were then sprayed with clear varnish to protect the writing. Be careful about spraying, too close and the pen may run. Spraying from 30 cm is good.